Barberry Health Benefits, Dosage, Side effects and Warnings. 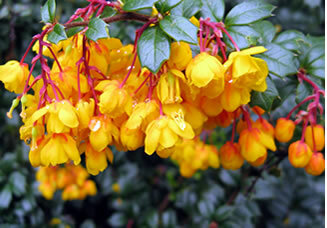 Scientific Name: Berberis vulgaris L., B. aquifolium Pursh. Mahonia aquifolium Nutt. Barberry, Oregon grape, trailing mahonia, berberis,jaundice berry, woodsour, sowberry, pepperidge bush, sour-spine. Barberry contains variety of chemicals including its active constituent berberine, a yellow crystalline alkaloid that has sedative, antimicrobial, anti-inflammatory, hypotensive, and anticonvulsant effects. Other chemical constituents such as albumin, Berbamine, Citric acid, fat gum, malic acid, other alkaloidal matter, make the Barberry useful in the treatment of variety of illness, although limited medical and scientific research may support its claims. Anti-fungal and antibacterial activity. A powder made from Barberry dried root is used for athlete’s foot, as well as an insecticide and pesticide. Anti-inflammatory property. Barberry poultice made of crushed leaves is used for rheumatism, arthritis, gout, swelling and broken bones. Anti-parasitic action, Barberry is used to treat malaria and other parasite related infections. Hypertension. Barberry can lower blood pressure and is beneficial in controlling high blood pressure..
Kidney diseases. Barberry is believed to also cure kidney related diseases. 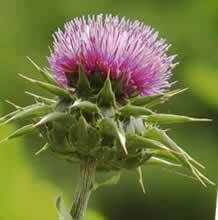 It is also used in treating gall stones. Eye Health. Barberry has been effective in treating conjunctivitis and it is also used in treatment and prevention of cataract and other eye problems. Digestive Problems. Barberry is a good herbal medicine for digestive complaints. 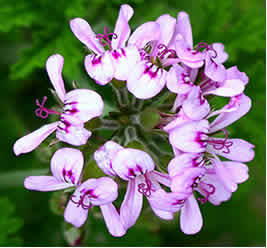 It has long been used for the treatment of diarrhea, stomach ache and is believed to maintain a good balance of intestinal bacteria. Improves appetite. Barberry is used for to improve the appetite and helps in digenstion. Anti-inflammatory activity. Barberry is used to treat sciatica, lower back pain, hemorrhoids, gout, arthritis, and enlarge spleen. Urinary tract. Barberry can also improve symptoms of inflammation in urinary tract, respiratory as well as the gastrointestinal tracts. Liver tonic. Barberry is used to protect the liver from harmful toxins and thus improves its function. Barberry tea is used in the treatment of jaundice. Skin problems. The anti-bacterial and the anti-inflammatory properties of Barberry make it useful in the treatment of skin problems that may include fungal infections, wounds, acne, burns and other skin problems. Scurvy. 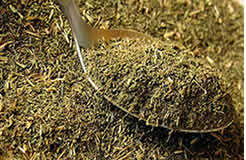 Barberry tea taken once a day is believed to prevent and cure scurvy. Menstruation. Barberry can improve the flow of menstruation and alleviate symptoms associated with it. In vitro antioxidant effects of barberry fruit extracts. The effect of Barberry fruit extracts was studied in an in vitro model. By evaluating their scavenging potential. 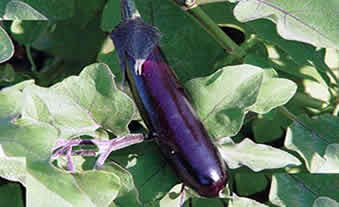 Suitable amounts of dried plant were coarsely grounded and used for extraction. 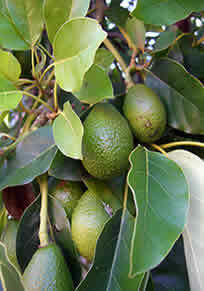 The dry plant samples were extracted with water and/or ethanol. 10 g of Barberry fruits extracts powder was percolated by water for 24 hours. The extract was filtered and concentrated. Hydroxyl radical was produced as described previously. Then, Barberry fruits hydroxyl radical scavenging capacity was determined using deoxyribose degradation system, followed spectrophotometrically at 532 nm. As expected ,our data indicate that the level of hydroxyl radical generation in with aqueous and /or ethanol extracts of barberry fruit was decreased in comparison without barberry fruit extract in vitro system [(6.11±0.83, 5.28 ±1.44, mmol/ml) vs. (9.32±0.38, mmol/ml)], p<0.05, respectively. Indeed, our results revealed that the extracts of the Barberry fruit scavenge hydroxyl radical in vitro sample as compared to the controls. The barberry fruit extracts proved to be an effective for hydroxyl radical scavenging. The present data revealed that beneficial effect of Barberry fruit aqueous and ethanol extracts may be due to its free radical scavenging potential. Source: Int J Mol Cell Med. 2012 Summer;1(3):168-72. Atherogenic dyslipidemia, characterized by an increased level of lipoprotein (a) and a decreased level of adiponectin, is a major risk factor for cardiovascular diseases in diabetic patients. To reduce cardiovascular risk in diabetic patients, use of agents with antidiabetic and anti-atherogenic potential is required. Using an animal model of diabetes, we investigated the antiatherogenic potential of extracts of three medicinal plants: jujube, barberry, and saffron. For this, serum level of fasting blood glucose, lipid profile, malondialdehyde, total antioxidant capacity, adiponectin and lipoprotein (a) in diabetic control and extract treated groups were measured. Statistical analysis of measurements showed that serum levels of fasting blood glucose, triglyceride, and VLDL decreased significantly (P < 0.05) in all treated groups. Treatment with all extracts reduced lipid peroxidation and increased antioxidant capacity of the experimental diabetic groups. Serum adiponectin levels increased in all treated groups, whereas lipoprotein (a) levels decreased, most markedly when treated with jujube extract. Jujube, saffron, and barberry extracts are beneficial in ameliorating oxidative stress and atherogenic risk of diabetic rats. This highlights the benefits of further investigating the cardio-protective potential of medicinal plant extracts and evaluating their usefulness as cardio protective agents in clinical practice. Source: EXCLI J. 2015; 14: 908–915. Where can I get or buy Barberry? Barberry plant is widely cultivated and can be sourced through local horticulturist. Barberry leaves, flowers and fruit, roots and bark can be harvested from fields. Barberry is also commercially prepared in powder, tincture and capsules taken as supplements. They are available in most fitness and health stores. Barberry is also available online via Amazon as listed: Barberry Liquid Extract, for example, there are other brands, be sure to select one from a reputable manufacturer and do follow the suggested dosage. Barberry tincture, 2-3 ml taken three times per day. 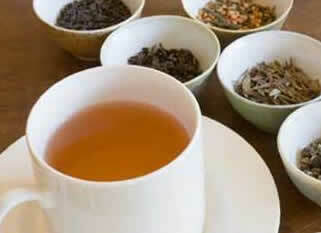 Barberry tea can be prepared using 2 to 4 grams of dried barberry herb in a cup of boiling water. Taken 2 to 3 times a day. Barberry capsules as supplement. Taken as directed. Barberry ointment prepared with 10% extract, applied to skin 3 times daily. Prepare about half teaspoon of dried barberry parts for every cup of water. Barberry extract from leaves and barks may be poisonous if taken in excess. Large dose of barberry may cause shock, nose bleeding, nausea, vomiting, drop in blood pressure, difficulty in breathing, reduced heart rate, and potential damage to the kidney. 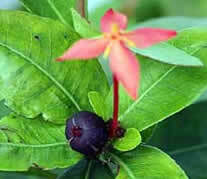 Barberry herbal extract is not to be given to children without professional medical supervision. Use of barberry herbal extract is also discourage during pregnancy and lactation. Barberry is not advisable for prolonged use due to potential risk of poisoning. Medical supervision is adviced. Antibiotics. Barberry may interact with the antibiotic lessening its effectivity. Anticoagulants (blood thinners). Barberry may decrease the effectiveness of blood-thinning medication. Antihistamines. Barberry may increase the effects of antihistamines. Blood pressure medication. 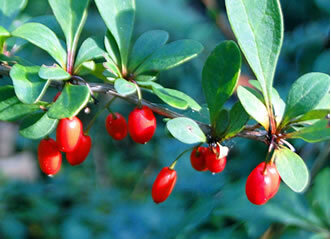 Barberry has blood pressure lowering effects, Barberry may increase the effects of these drugs. Diuretics. Barberry may increase the effects of these drugs. Medications for diabetes. Barberry may lower blood sugar, making the effects of these drugs stronger.